Composite image by Fabian Puller. 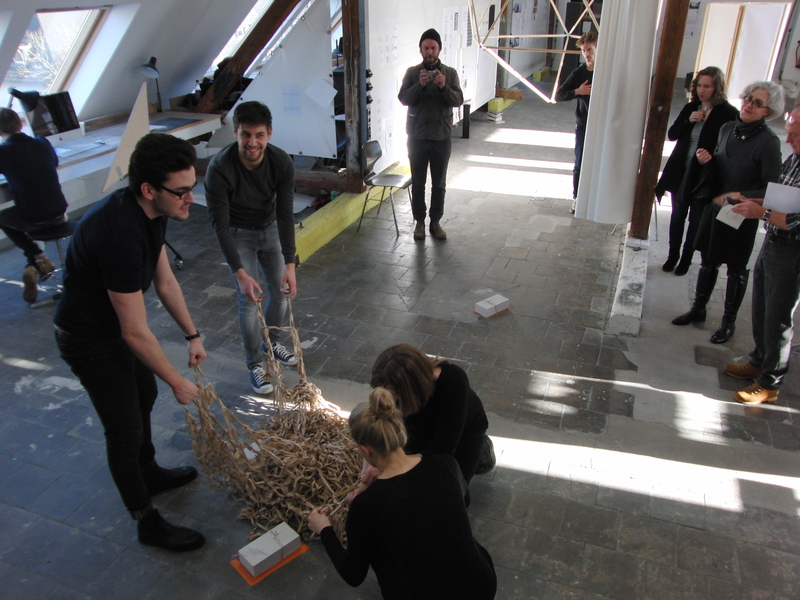 The Winter 2013-14 ba.m 2.5 Archive Building Course at the MSA was a semester architecture studio focusing on archives as contemporary spatial practice. 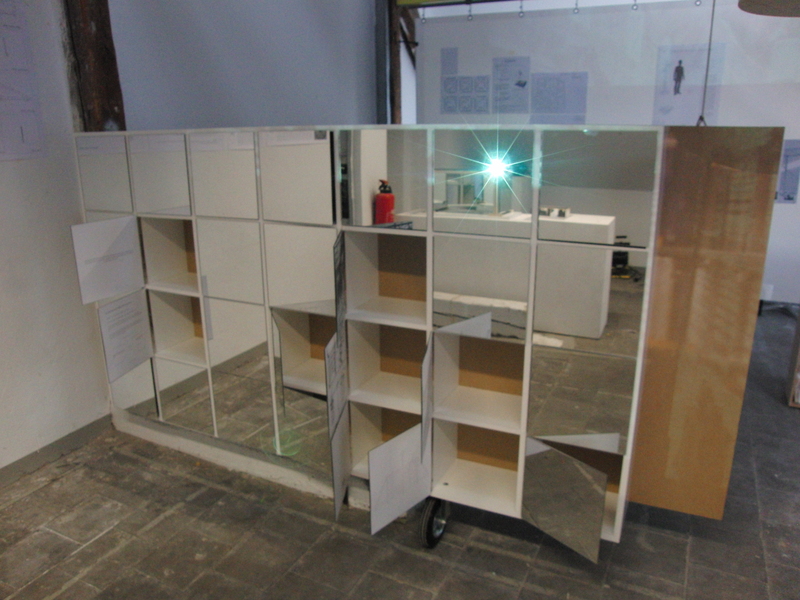 Compacted into eight weeks, this dense period was focused on how to loosely define what an archive could be by reverse-engineering the individual and collective preconceptions of what an archive is. This process of reverse-engineering is, by definition, both a sort of anachronistic process where the object of exploration is constantly dismantled, rebuilt, situated, and dismantled yet again. 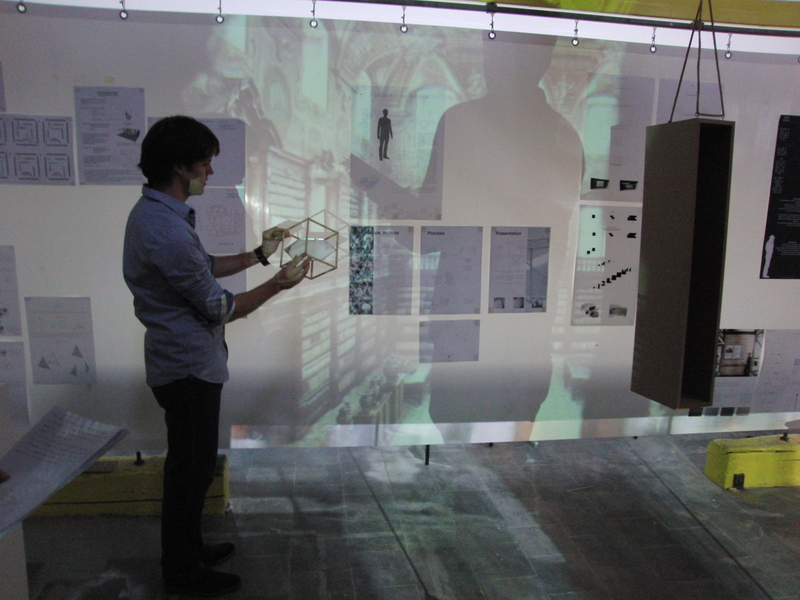 Ideally, this approach would then augment a type of Brechtian estrangement (critical distance – “Verfremdung”) for the group to question assumed conventions and thus self-inquire, not only about the archive as artistic and historiographic practice, but more importantly, as an archetype itself towards re-viewing the fundamentals of spatial production. These formats, although chronological, continued to affect both past perceptions and future projections of the individual and collective work. 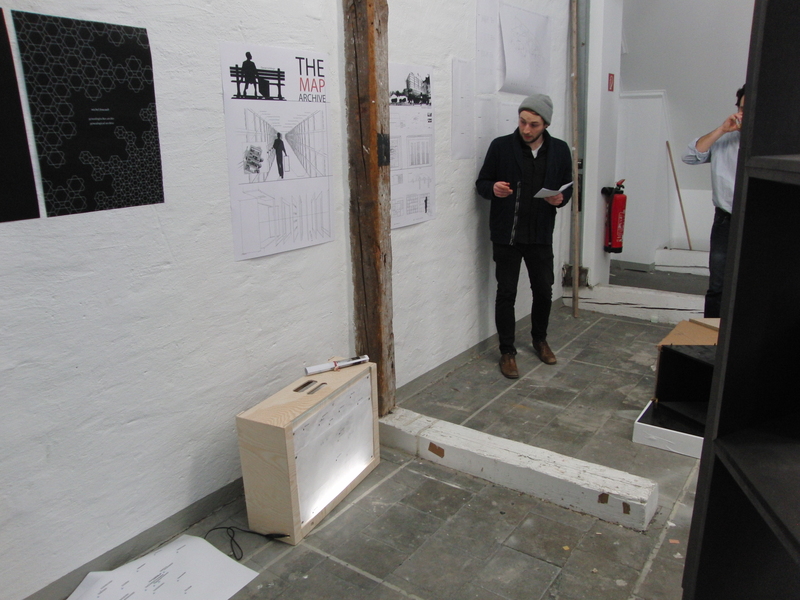 The work was accumulated in physical form in our Dachboden workspace, in order to return, review and exhibit it, as well as in digital form in the student-run Second Order Archive website where the material is recorded and cross-referenced as continuous, future resource. Ultimately, what is here presented today inside our workspace, the MSA’s Dachboden, is a self-organized exhibit that intends to primarily make-visible, not of final products, but the exploration and discovery process of the group that has materialized in both physical and discursive forms, as performances and preparations… categorized as labyrinths, towers, projectors, pedestals, containers, contemplations, landscapes, and building blocks. 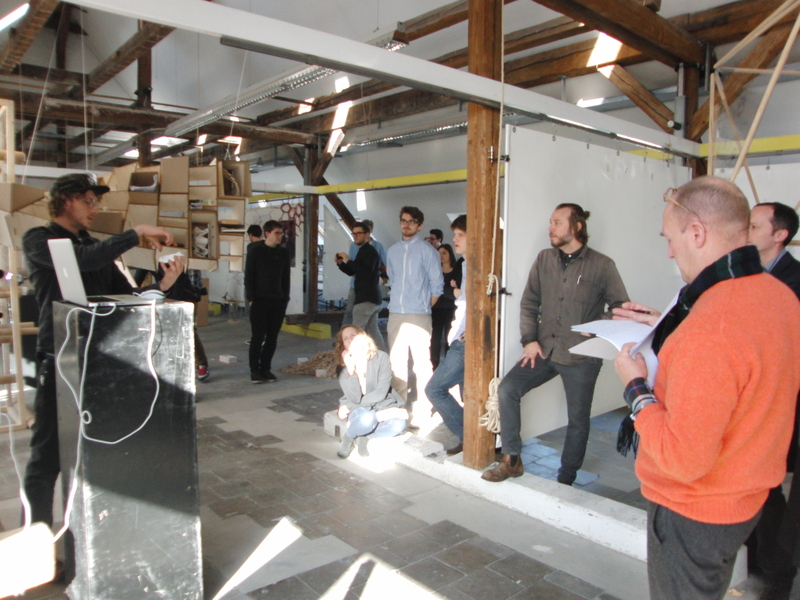 Archive Building began as a workshop at the University of Copenhagen that took place in the Spring of 2013. 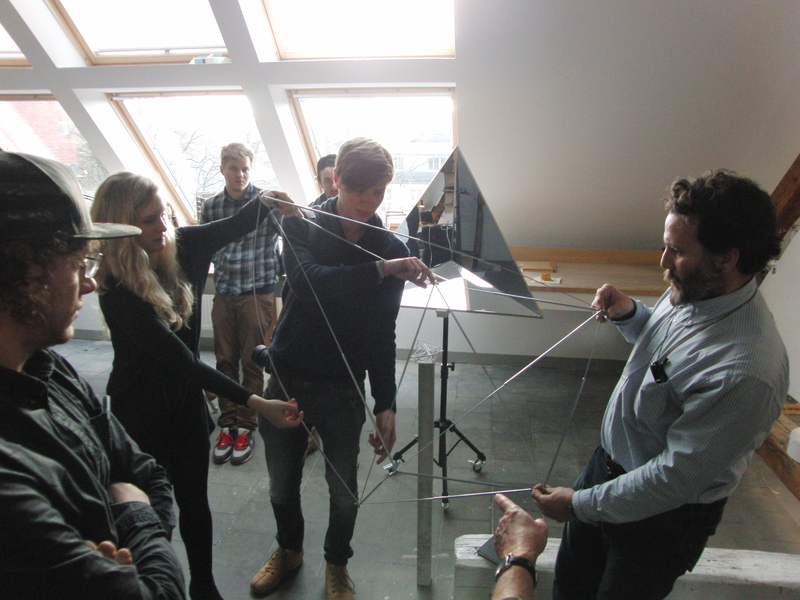 The workshop was part of the residency as Danish Arts Council International Visiting Artist, and was attended by faculty and students from the Oslo Royal Academy of the Arts, The Royal Danish Academies of Art and Architecture, and the Technical University of Braunschweig. 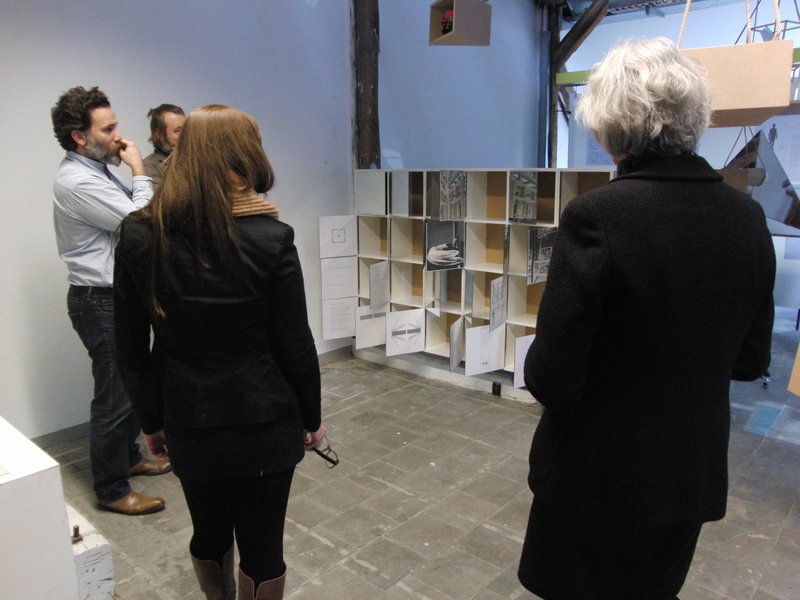 comments by LBN: Playing a meta role as co-curator and archivist did provide a unique approach towards the individual dimension of this project. The oral presentation was compelling and the intention to represent the greater intent of the entire group was certainly welcomed by the critics. Unfortunately, the visual and physical representation was still underdeveloped and although the course web-based archive was definitely a very strong start, with good ideas towards topics and classifications, it still remained also underdeveloped. Hopefully, this will still be further explored for it could become a valuable contribution to the institutional memory of MSA. 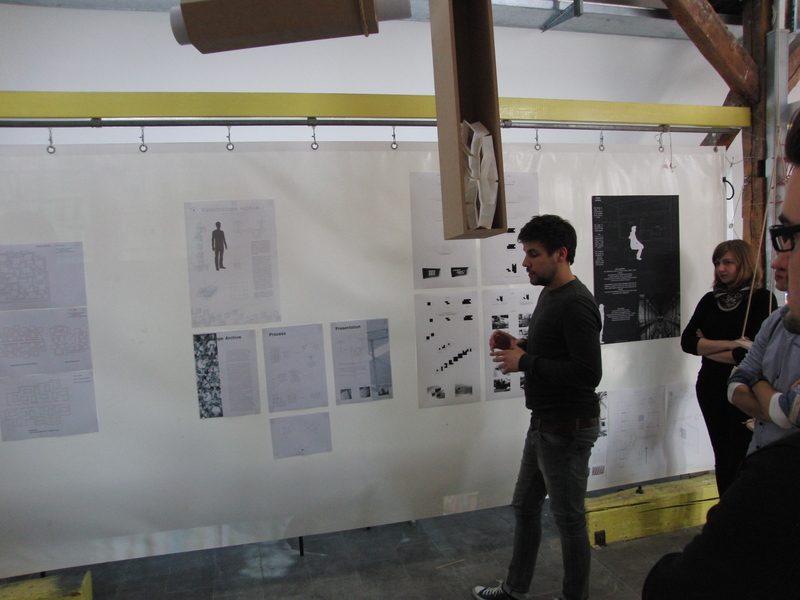 comments by LBN: This was absolutely an excellent example of both process and production of work. The intuition and development of the modules, particularly focusing on their geometry, stemming from Borges, was surely an outstanding display of interpretation and continuity. 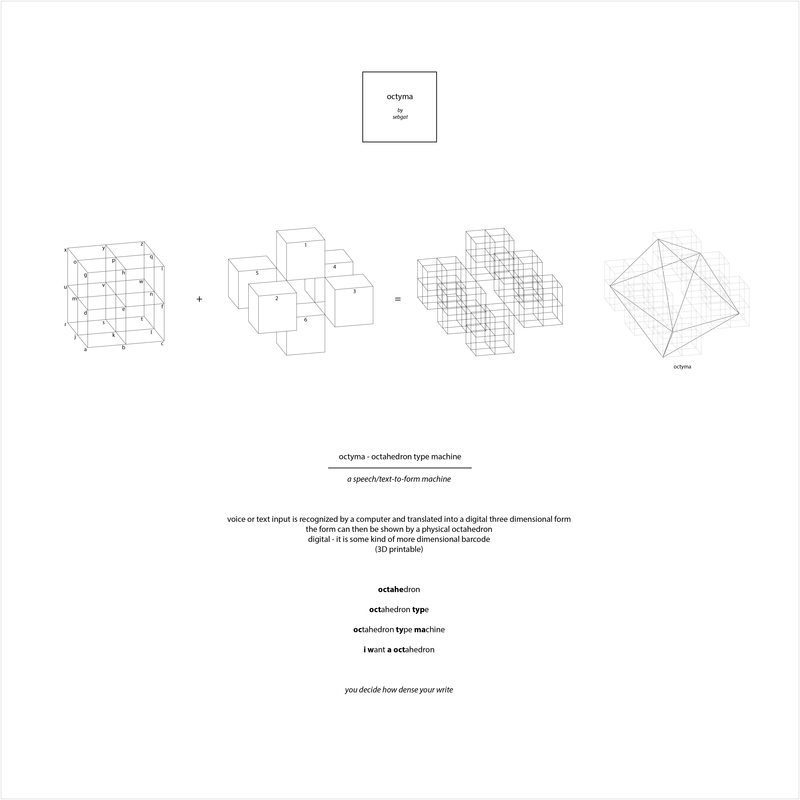 Where the project becomes slightly unfulfilled is when conceptualizing the archival capability of the system, as opposed to just being a mobile container, especially the way the geometry responds to this concern. This was somewhat addressed, but it was left unexplored. Focusing on physical and ergonomic aspects, which are extremely important, still left open too many questions about memory, classification and what is actually being retrieved. The A4 geometry, and midterm connection to the cemetery were/are fascinating starting points, but, again, these fundamental aspects were left unexplored in the project resolution. Otherwise, again, this was an outstanding project that clearly has enormous real-world potential for future fabrication and institutional use. Too Much classical Background. Don’t be afraid to break the rules to go deeper. The Process is still Processing and will keep doing so. Sometimes less is more. The funniest most natural Thing to me was the right answer. 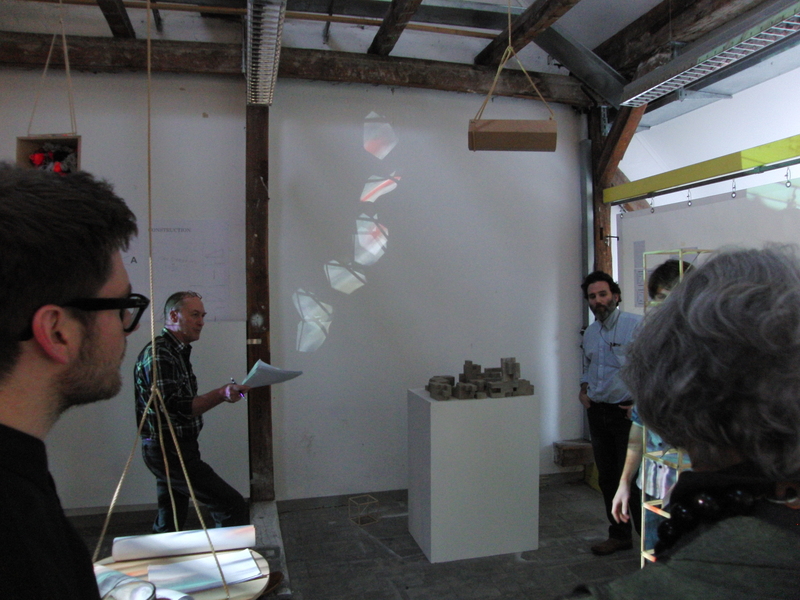 comments by LBN: This was a compelling final presentation where the work had a very strong set of interconnections, metaphorically with the subject of above and below, structure and aesthetic, desire and actuality, and physically between the way you developed what we discussed, of the video, the labyrinth drawings and the model. Although the process during the course did meet many obstacles, which at times also manifested in somewhat unfinished assignment material, it was quite powerful to see such a good interpretation of our process critiques, discussions and ultimate resolution. comments by LBN: The hidden archive was a powerful and provocative expression of archive as a genuine interpersonal reflection. 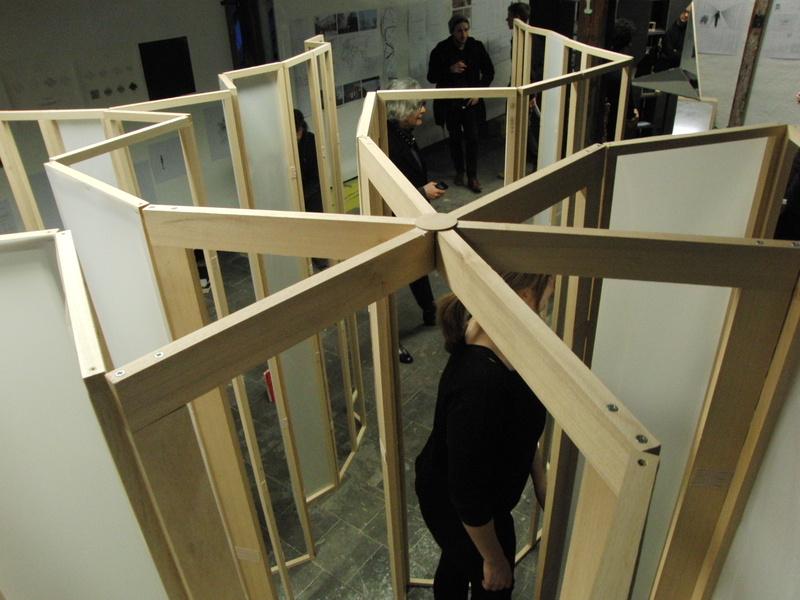 Not only was the final physical resolution a compelling installation in regards to materiality, spatial and conceptual situation, but it also reflected a consistent exploration from the very first proposal for the Dachboden space, with an outstanding process-model presented during the course. The aspect that could have made this ultimately a complete project was the story line proposed in regards to what was actually being “stored and retrieved” from the archive. The matter of intimacy and privacy was compelling in regards to the personal account presented, but this is an aspect that should be further considered and explored. 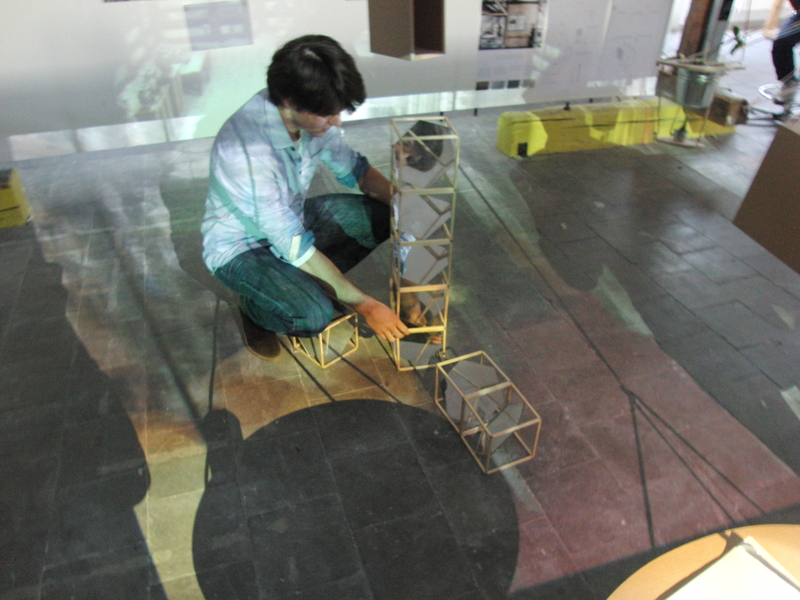 comments by LBN: The tower archive was a project with enormous potential. 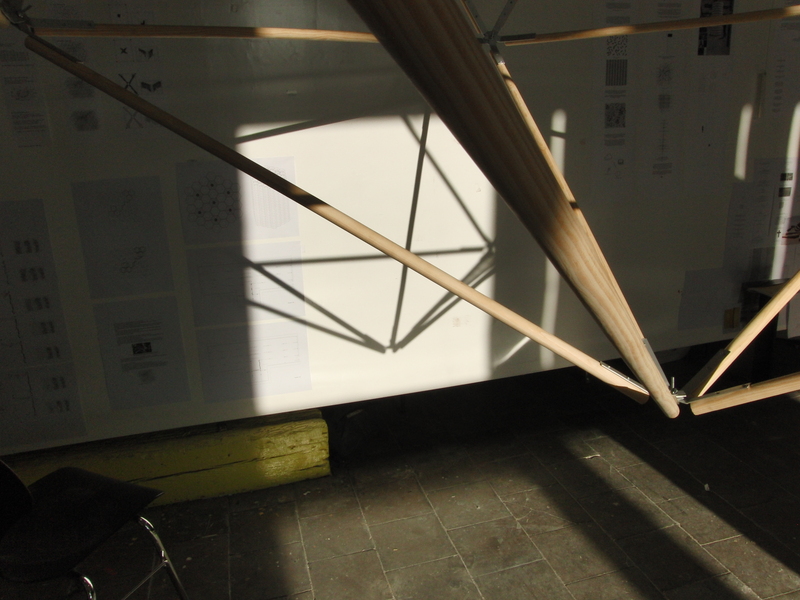 The semester exploration, although at times not demonstrating a conscious understanding of its possibilities, did offer a set of elegant visual and categorical possibilities in regards to the interior patterning of the criss-crossing tubes, and the exterior landscapes that would emerge through its use. 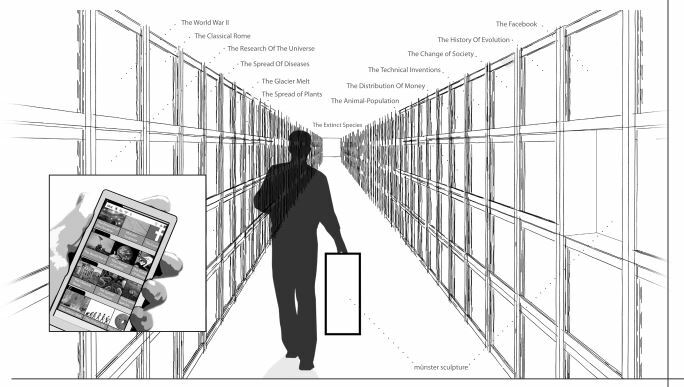 The combination of interiority and exteriority could have led to a compelling approach to classification and the archive… unfortunately, the project did not reach this potential. 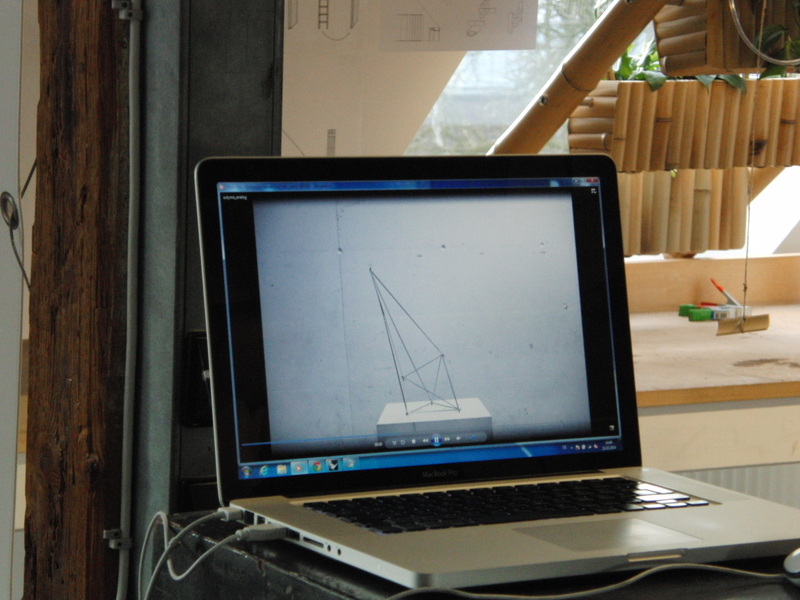 Also, although it was a wonderful effort to build a 1:1 prototype, its physical resolution also presented a series of basic problems of structure and materiality when not first making process tests, both in the behavior of the wood structure and the steel-cable mesh. 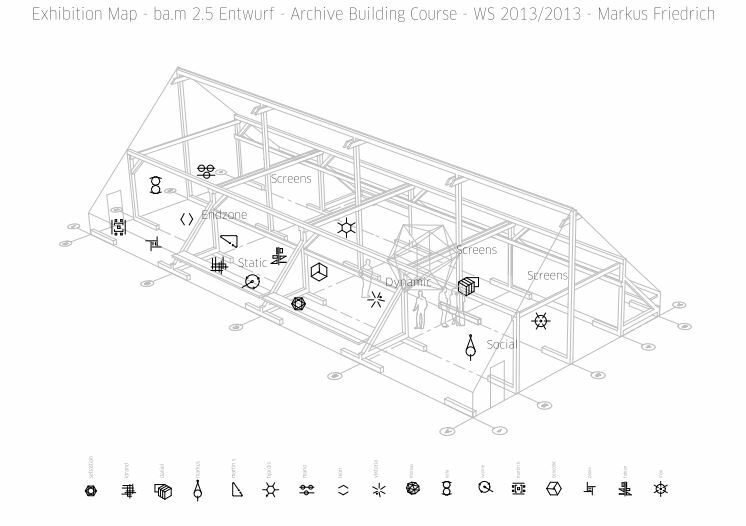 Again, although too many physical and conceptual questions were left unexplored, this project does have true potential for further exploration, if anything, it definitely can be used a valuable place to archive student drawings. About the Undifferential – “Derida: Difference give Words / Things its Meaning”. Total Structuralistic. 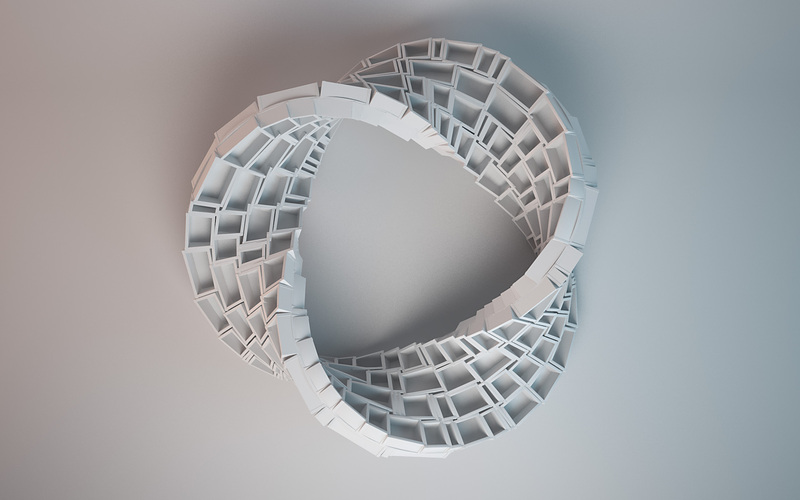 Mobius Strip Interior / Exterior as Totality. Model of greater Things. Put Shelf into the Space. 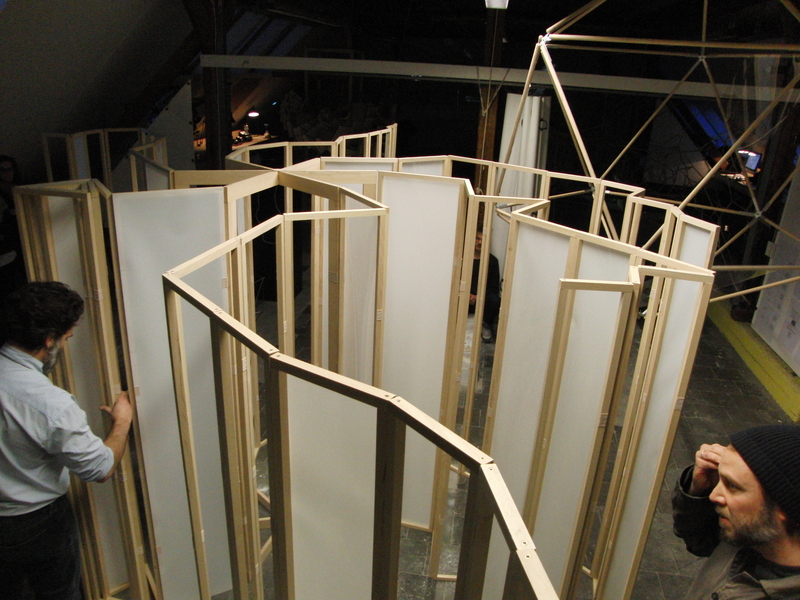 More about Process itself. How it bends Space. Spacial Operating. Engage the Space. 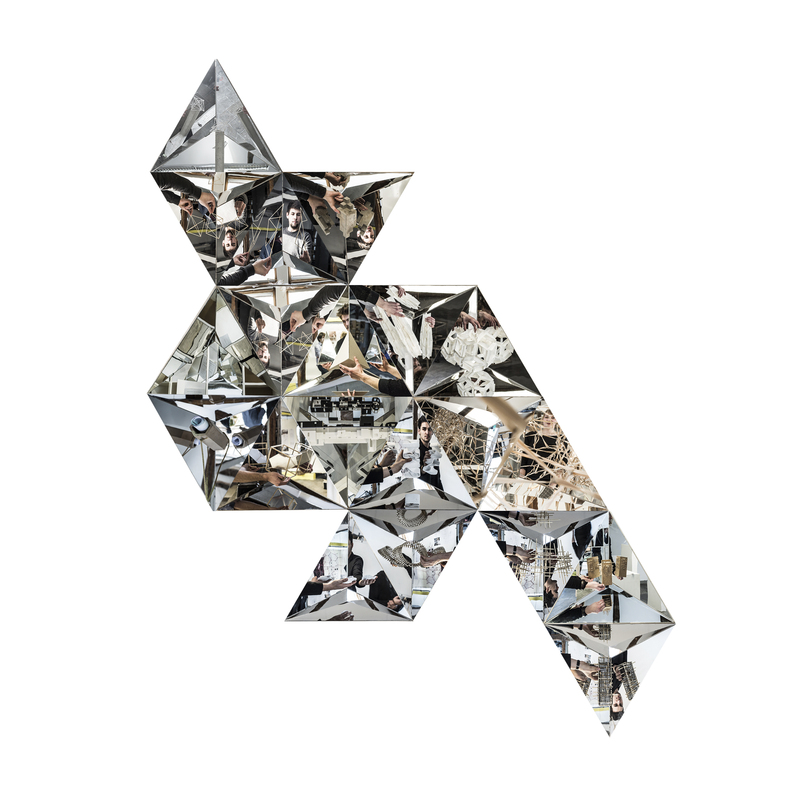 Crystallization – Function changes with Shape and Gravitation. Frozen Process. Powerful Furniture. comments by LBN: The final presentation did not come together verbally as strong as it could have, as the complexity of the ideas did not come across in an entirely perceivable way. 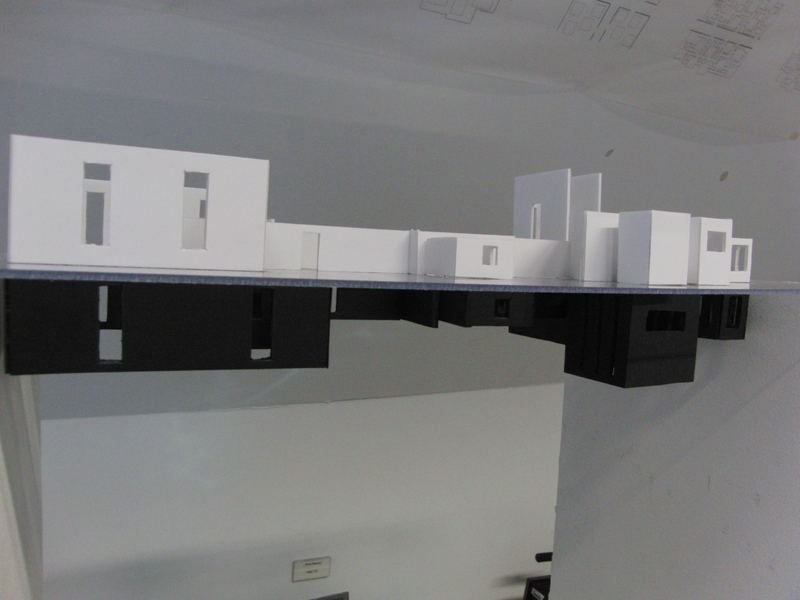 That said, the potency of the key subject-matter, and then the scale-models allowed the critics to at least begin to peek through that complexity. Also, the theoretical notions were well-based in both established and controversial language, a discourse and material backed-up with substance and due-diligence. Hopefully, the complexities relating to the physical, the digital, the social, structuralism, relativism, constructivism, dialectics, correlation and the speculative, ecology and cybernetics will be explored further, and that it ultimately leads towards what we discussed, around the deep and somewhat unexplored topic of tolerances, in regards to parametric theory and the politics contemporary spatial sciences. Archive as a Process not static. Existing know needs to be combined to create new knowledge. Dependencies. Differential Connections. Brick as Example like Biology and Chemistry. 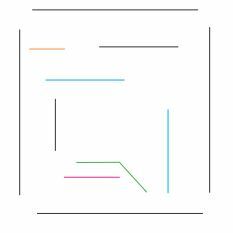 The way the interlock.Own Language work on one Stone. Show Process how things comes together. 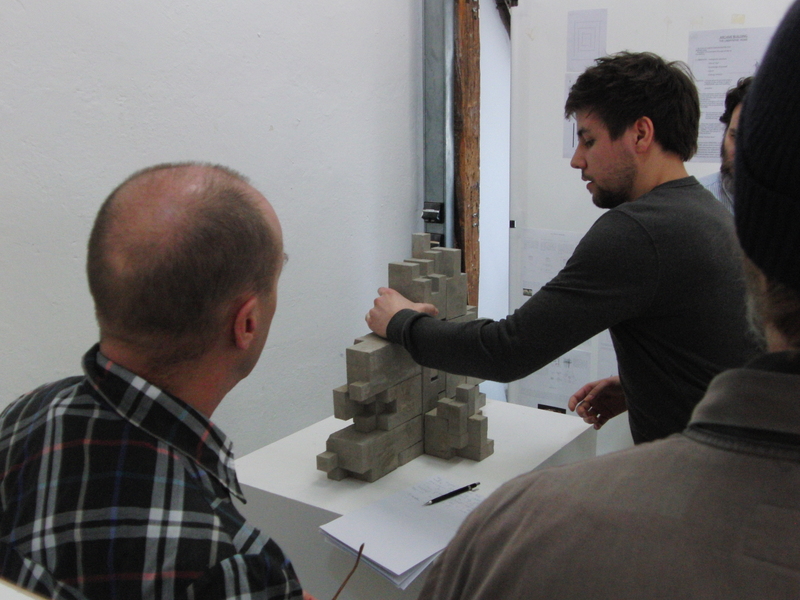 Critics: How is Information is charged into the Stone? 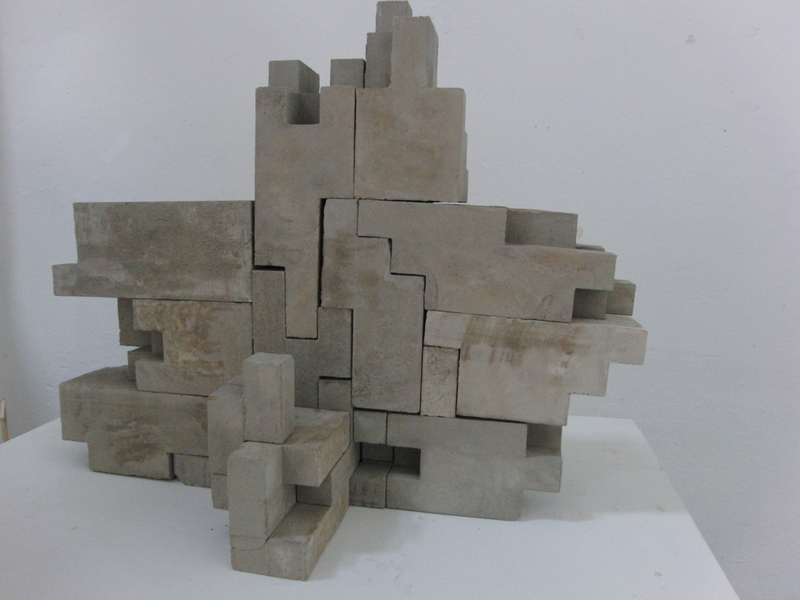 Luis – Stereotonomy – Craft of Bricklaying. Language and Grammar. Connectivity to next Stone. Reverse Engeneering. Create own Language. Information Stones can carry. Who understands Language. Serious of Pattern or Metaphor. Encode is a puzzle. Order defined by gravity and possible Combinations. 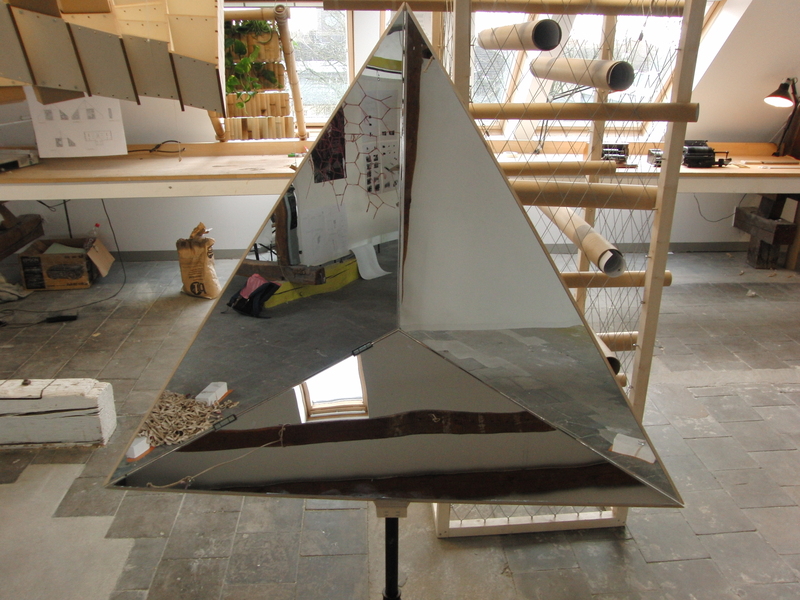 comments by LBN: The stone-making device that we discussed as a “stereotomic machine” and developed from your initial ball-diagram-model from the first assignment, was without a doubt a very beautiful and strongly provocative proposal. 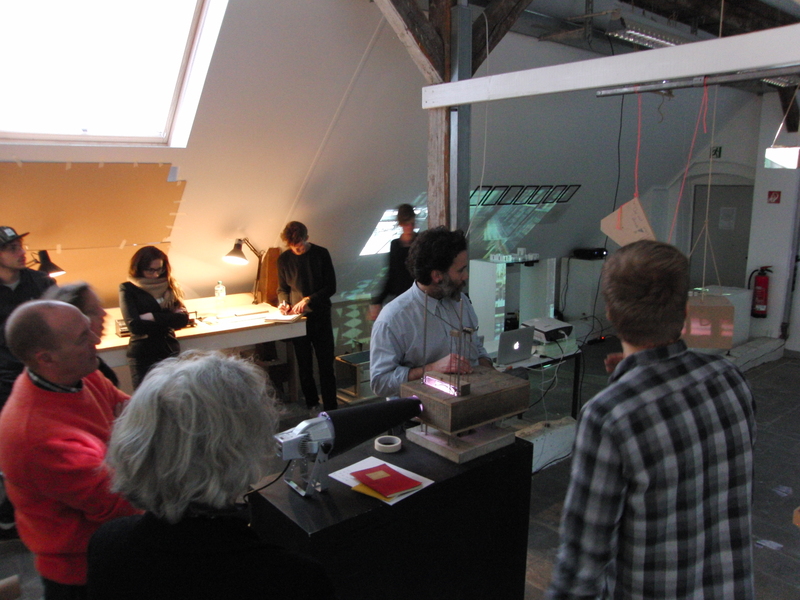 Unfortunately, as the visiting critics rightfully pointed out, it severely lacked significance when being unable to offer a “language” or “system of relations” that the resulting individual stones represented, or for that purpose, of the process you engaged… how it related to your idea of archive when actually making the stones. This was a major problem. But, again, the sheer potency of your machine was very provocative and must be further developed. As we discussed, one option would be to collaborate with Sebastian and his own machine, as this would lead to a very powerful physical inscription approach to stereotomy. 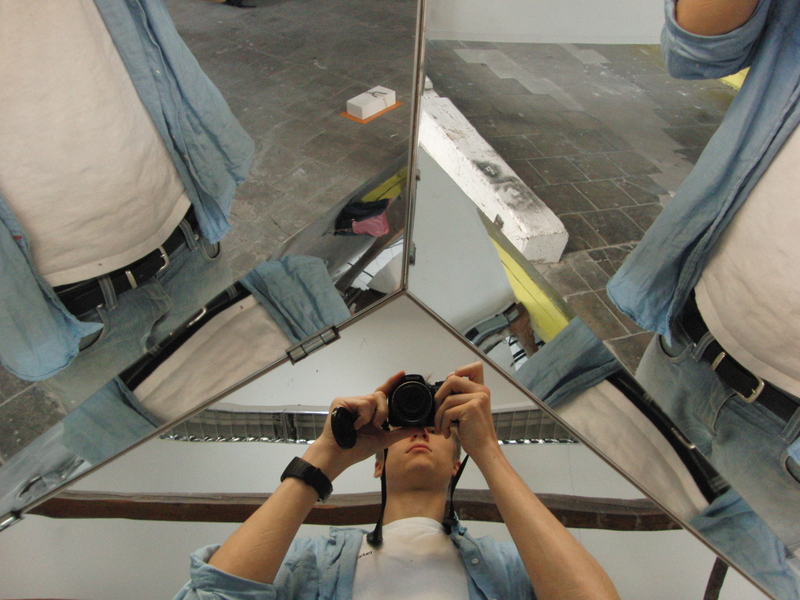 comments by LBN: Implementing the Kepler star was a very strong point of departure for the development of the project with excellent potentiality, focusing on the idea of “table”. 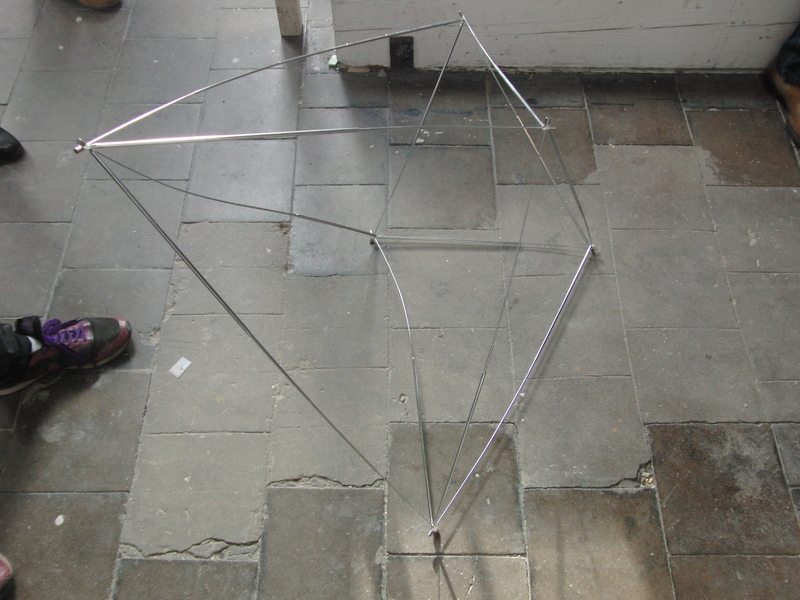 The process during the semester shifted from that notion of table into the negation of space to the manifestation of points in space, etc., and although not quite clear in which direction the work was moving towards, it did raise excellent questions about the visual and contextual readings of geometry as a general condition, in physical, digital, and mental environments. 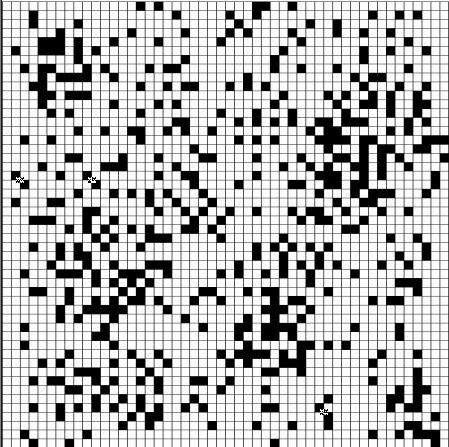 Ultimately, the implementation of a parametric tool to activate the Kepler star through text delivered further evidence of that tremendous potency. 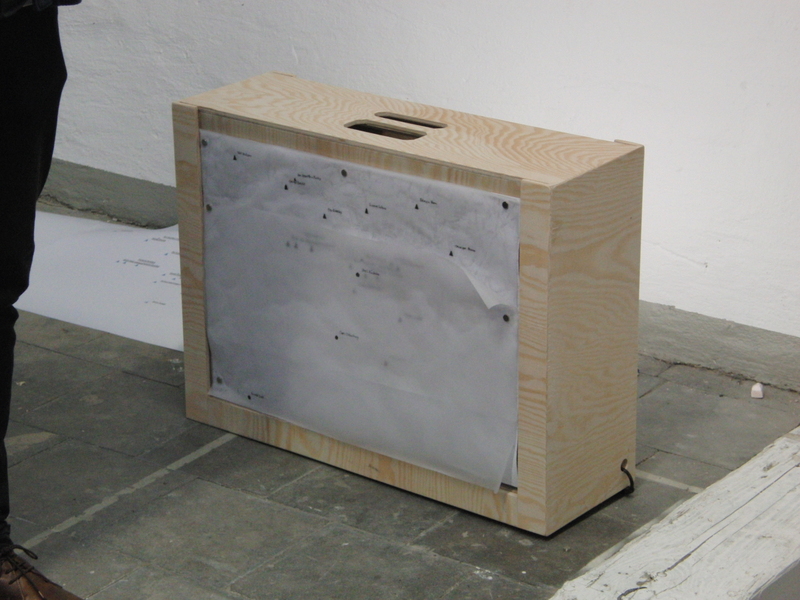 But, the presentation limited itself to greater qualitative relevance to an archival proposition, presented strictly as a tool, rather than a project, leaving aside any performative action involving the radio-antenna mock-up. The aspect of tool is indeed very strong, but unfortunately its still left unexplored a more sophisticated implementation of itself, other than writing arbitrary comments during the presentation. 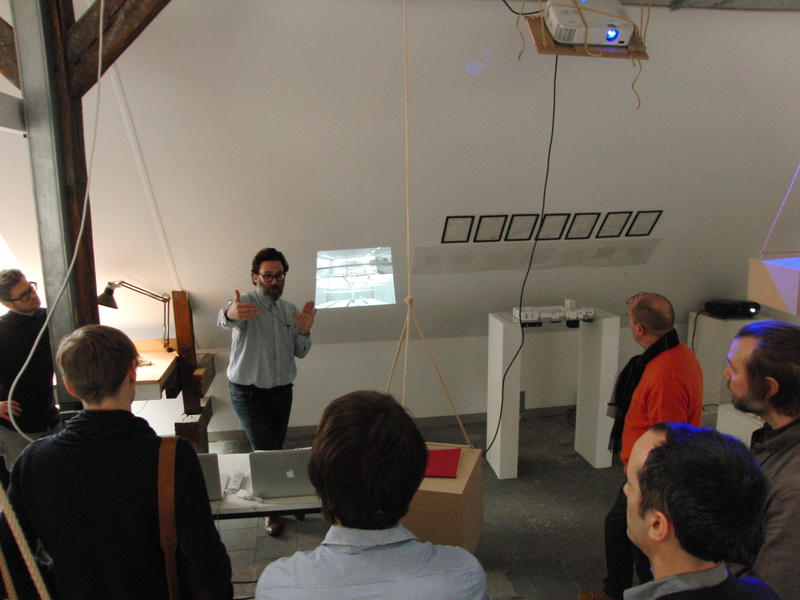 That said, again, the project was quite elegant, with significant future possibilities, hopefully, as suggested during the presentation, this project can become a collaboration with Mario’s stone-making machine in order to deliver a potentially fascinating physical and contextual manifestation. 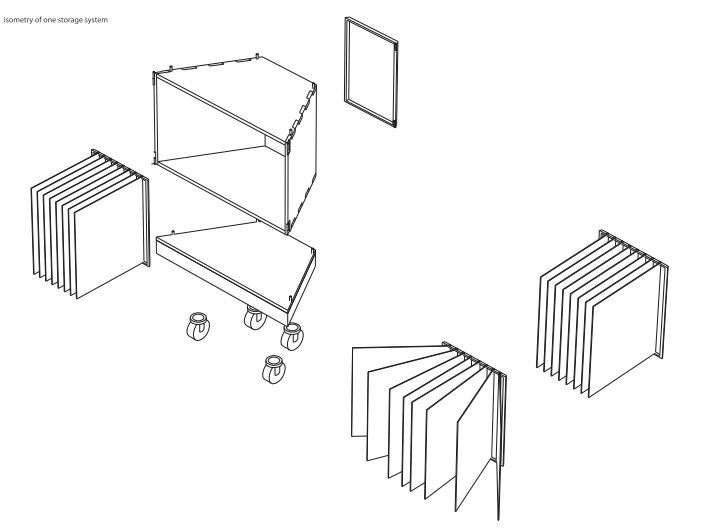 After reading Borges ‚The Libary of Babel‘, there was burned a clear image of Borges Libary in my head, but what was missing was the Image of how the shelves could look like. Were they just simple but effectiv ones or could they look and be as special as the archive itself? Especially the shape of the hexagon caught my interest. How could a storage system consisting out of hexagons look like? On my way to the answer of this question I had to step back a little to see the whole picture. For me it was very important that students can use the archive. 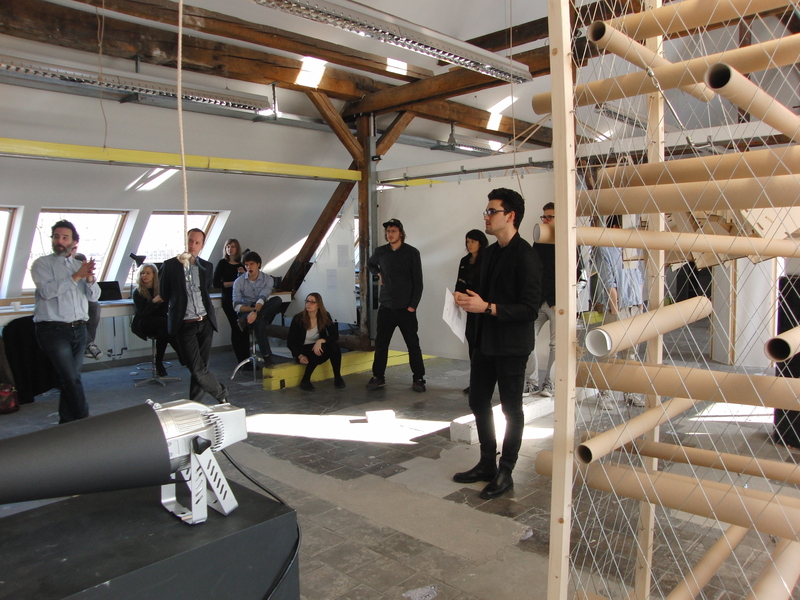 That the Working space could be improved as well as the Working Atmosphere – that the students Feel more like home since they spend most of their time on the attic. Plants ar able to produce fresh air, filter pollutants, lower noise, improve the smell, some are eatable. There is also the point that the plants could be able to isolate the heat, which comes along with the summer, in the slot from the rest of the attic. This could be implemented through something like a wall or furniture covered with vertical plantation. But the living archive needs more than a couple of plants to live. It also needs a watering system, which could collect rainwater from the roof, as well as a ventilation system and the optimal insolation. 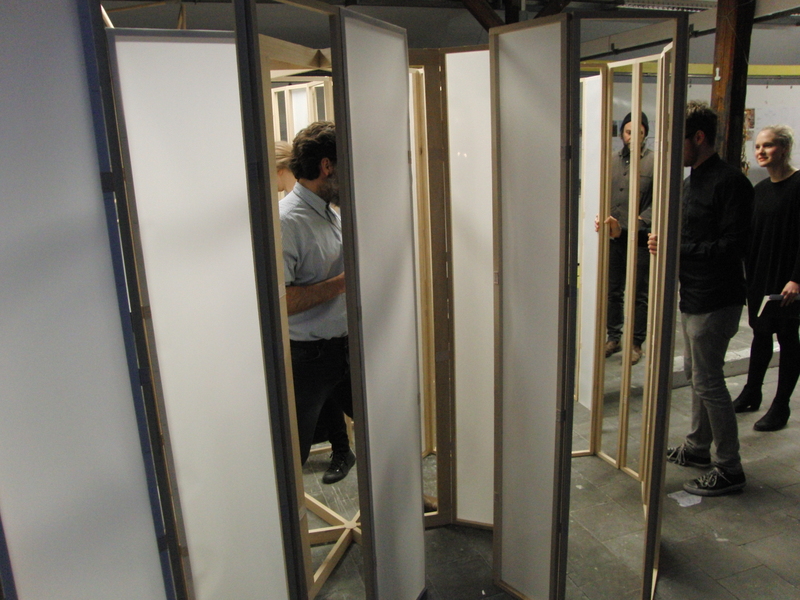 The construction of the living archive consists out of a bamboo frame with hanging boxes in it. The bamboo was recycled from another msa project that took place in January 2014. On one side this frame is fixed with a hinge at the back of the working table. the other side ist connected to a non fixed Mounting plate at the top frame of the attic window, to avoid damage to the attic construction, with a string. The string makes the archive mobile. One is able to pull the archive down to work on ist and lift it back up, when the work is finished. The irrigation happens through small pipes that go through the frame of bamboo, through the aluminum pipes that fix the boxes where the plants are installed in. At this point there is everything the archive needs to have plants, but the archive should also contain the possibility to grow plants. Under ideal circumstances with its own seeds gathered from the archived plants to ensure the permanency of the archive. 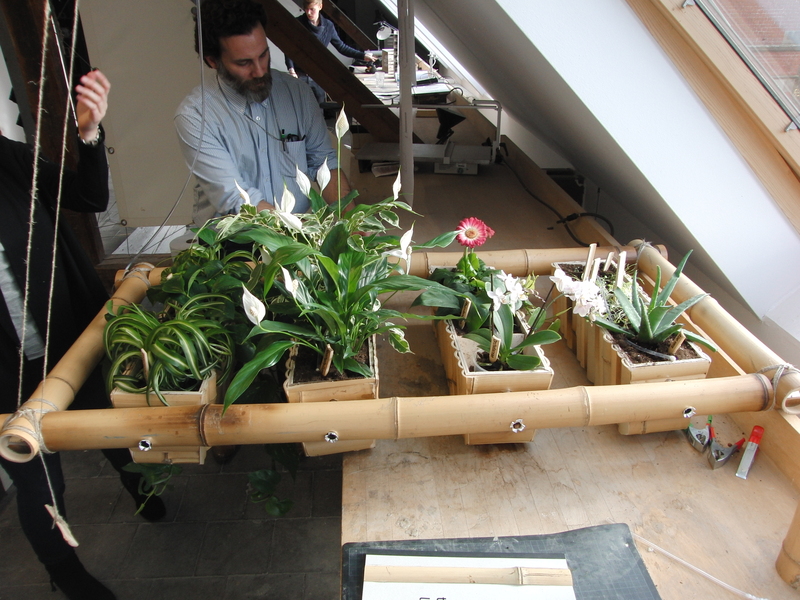 Classification happens through the condition of growth and the kind of plant (for example if it is eatable or not) and is able to be retrieved from every student since the archive is an open system for everyone – students are supposed to be able to grow their own plants, take care of them and use/harvest them. The development of this archive is supposed to be documented in “the living archive book” by the people who work with the archive – maybe add new plants from their place of origin, add some growing hints, document diseases and the general development of the plants life. Critics: Circumstances for People but not archiving People. Library garden in Paris. Place to contemplate read books. Problems with insects inside the books. Concidered? Seedbank becomes Archive. What to eat. What diets. Tools as someone owned. Ritual making Machine. Participation. Device. Small scale botanical Garden. Standing Device. No coincident green is most healthiest Colour in Space. Psychological. 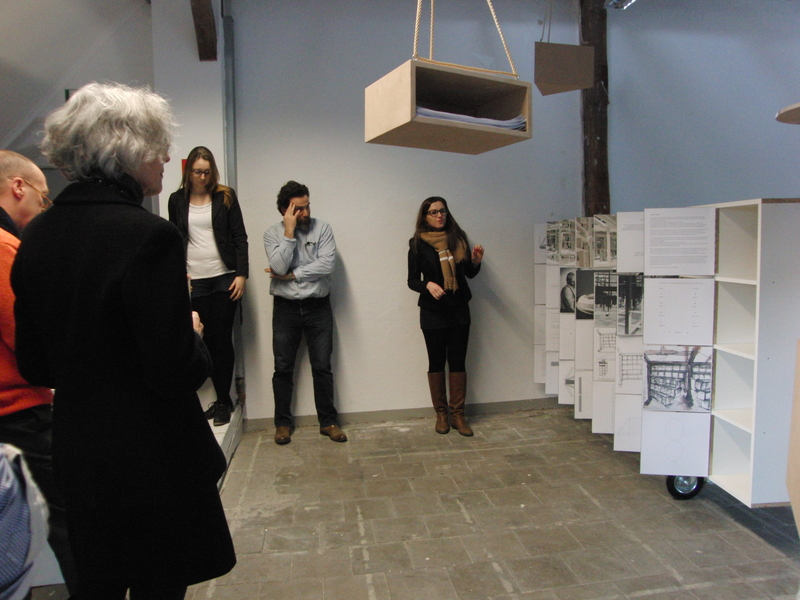 comments by LBN: Ivonne’s Living Archive (which will be the title of the next Archive Building course SS14) was a significant interpretation of our discussions and from the process initially proposed during the course. 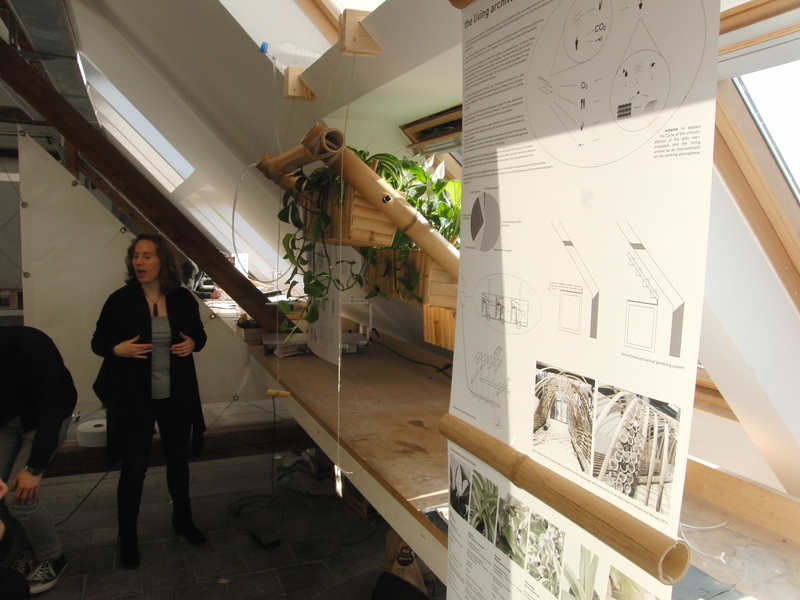 The proposal to genuinely improve the air, lighting, temperature, somatic, and visual quality of the Dachboden as a biosphere, ecology and archive, certainly made this project a genuine contribution. 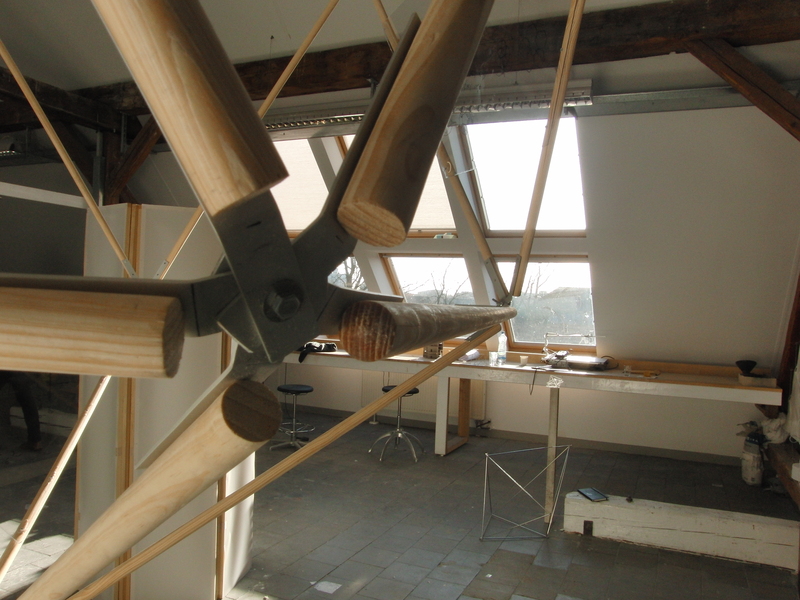 Although the choice of using recovered materials (bamboo) to build the framing is a admirable intention, it is critically important to be aware of what kind of functional and aesthetic impact this intent has. 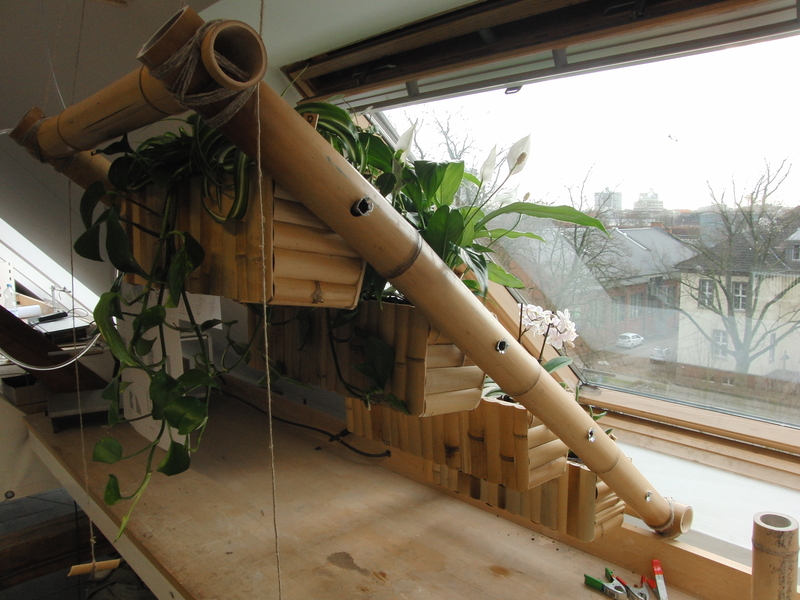 The bamboo seemed not to be the ideal material resolution for the framing for its bulkiness and difficulty to create efficient connections, and the incompleteness of the irrigation system distracted from the greater potency of the installation. That said, and as mentioned above, this is a wonderful contribution to the Dachboden that hopefully will generate interest in future students for its future management and enjoyment. 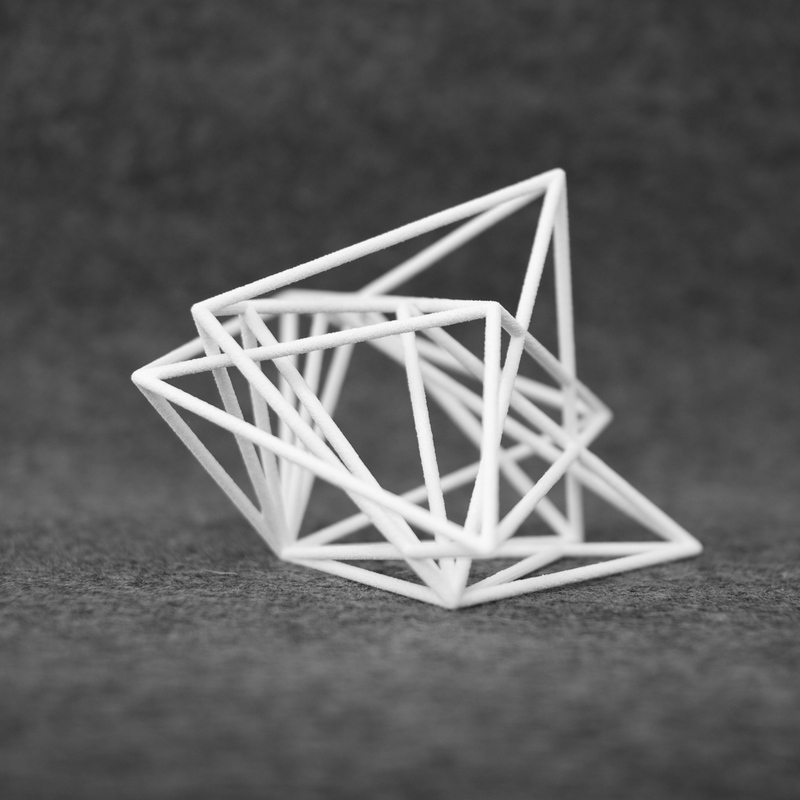 the complexity of our 3dimensional reality is easier to capture as an spatial structure. 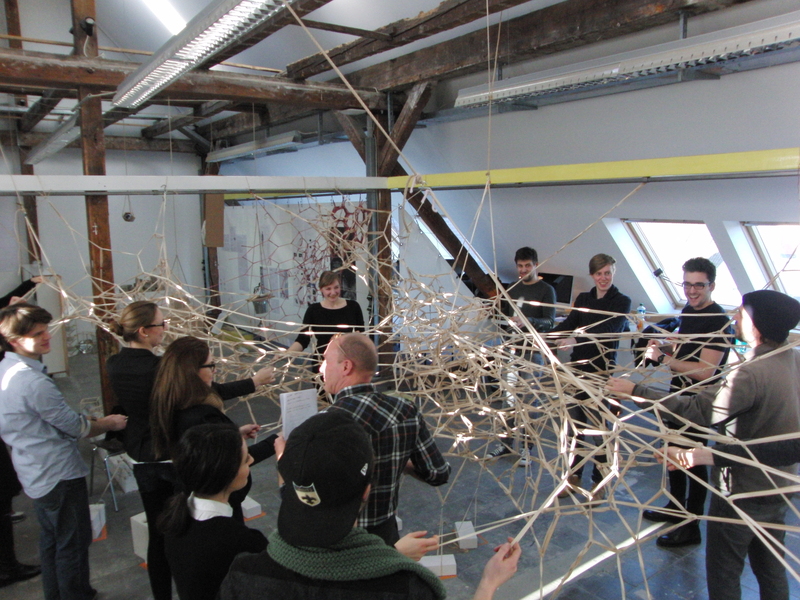 comments by LBN: The networked archive was a playful and intriguing physical expression of spatial distribution, suggesting the mental landscape of ideas and creativity. And, although addressing Appadurai’s reference to the mind-body Cartesian gap was certainly a welcomed component of the work, it still did not lead to it being more present in the expression of the work, for the majority of the elastic structure was mostly missing the ideas that were supposed to be building it… lacking the written account of the growing tessellation of ideas into a expansive landscape. The project was very consistent from the beginning of the course, but unfortunately, that consistency, which should have allowed for a stronger archival story-line, was still underdeveloped. 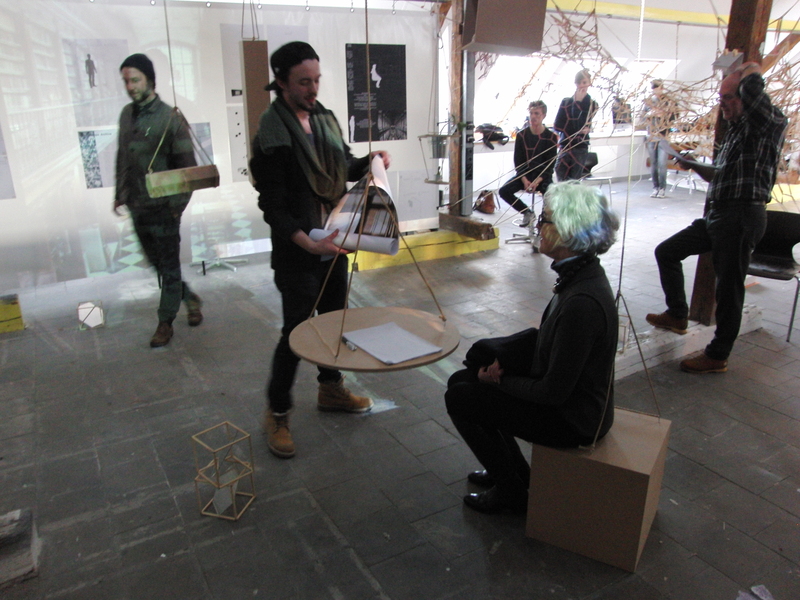 Ultimately, it was truly wonderful that the work had a strong quality, when on the ground, then that it did require the participation of the audience and peers to be activated and even somehow “inhabited“. 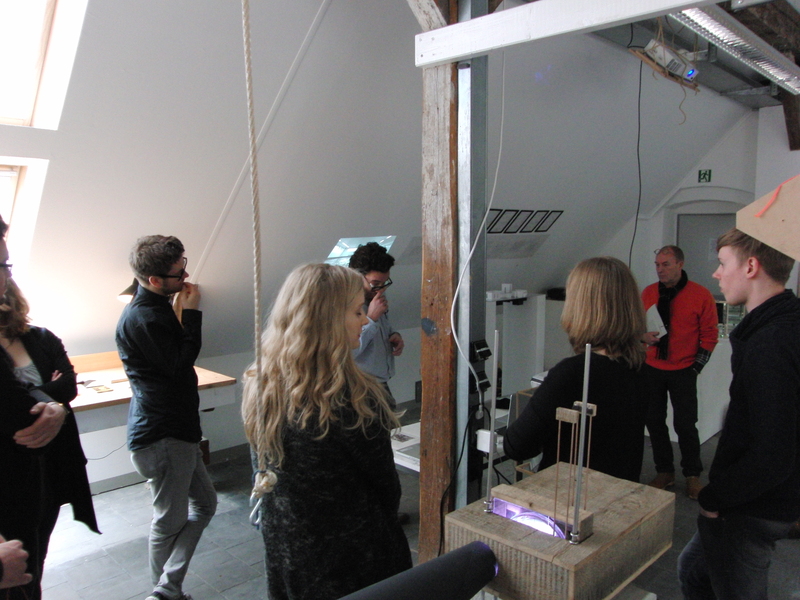 comments by LBN: Stemming from our conversations during the course, the kaleidoscope archive was undoubtedly a strong visual and modular system, very much welcomed by the visiting critics. 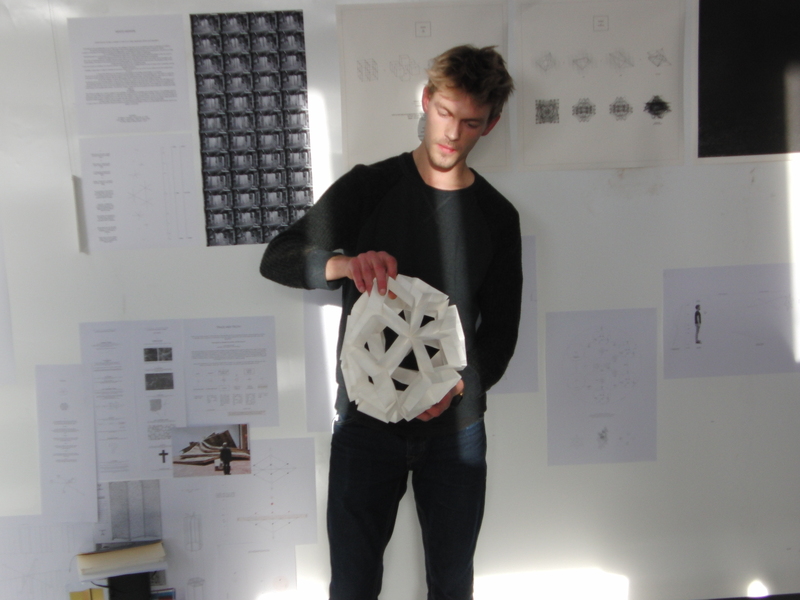 By using light shadow, it provided a way to swiftly imagine the multidimensionality of the proposal, both physical and mental when considering its relevance to representing creativity and articulating spatial quality. Unfortunately, the project still lacked a more compelling analysis when discussing it as part of an archival action and/or process. Hopefully, this aspect is not forgotten and further explored as it could surely have a potent future application. 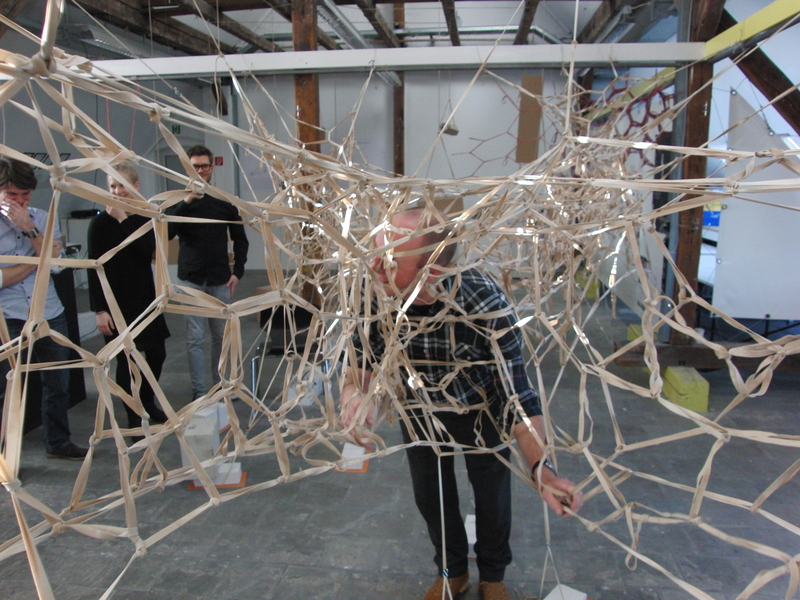 comments by LBN: The body-size geodesic sphere that emerged in the last days of our conversations prior to the final presentation was a good physical effort to begin to address geographic and archival possibilities. 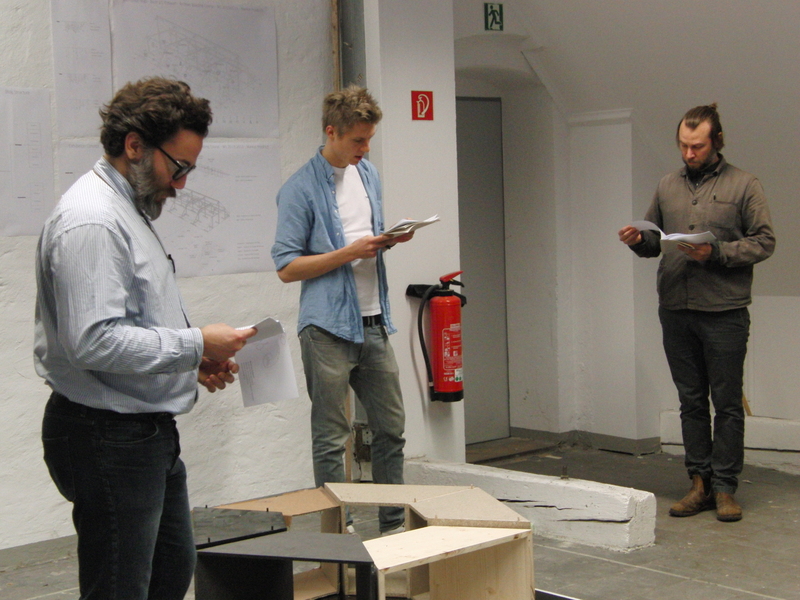 Unfortunately, also as discussed prior to the final presentation, the ball was just not enough by itself, and that its “use” in regards to any subject, but particularly the idea of experiencing and implementing it through the Skulptur Projekte, was fundamental to the proposal. Ultimately, the lack of actual, exploratory data significantly weakened the presentation. That said, this project could have a fascinating future if its “experience” is in fact actualized. 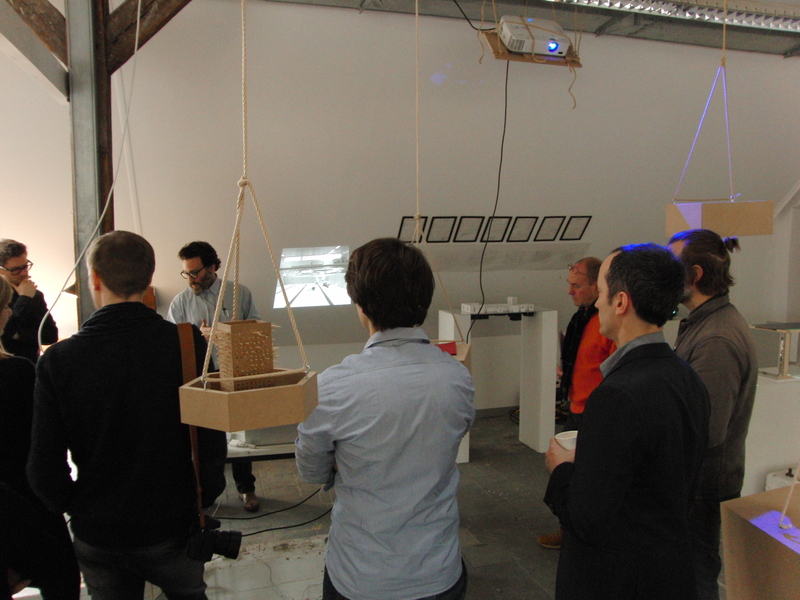 comments by LBN: The flying archive was a good proposal and its resolution and presentation did provide a viable intention. 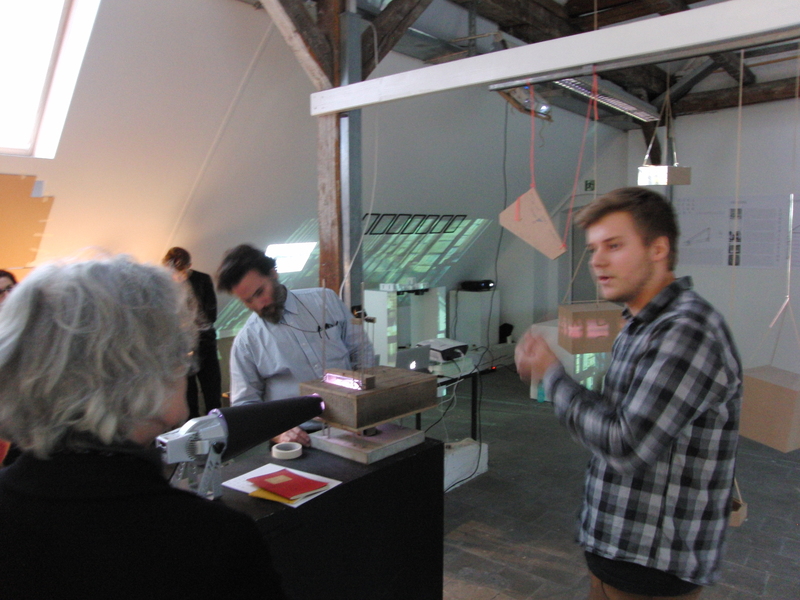 Unfortunately, there was a lack of coherence between the ideas about archive developed during your process and how these registered both in the space of the exhibition and in regards to an archival role. 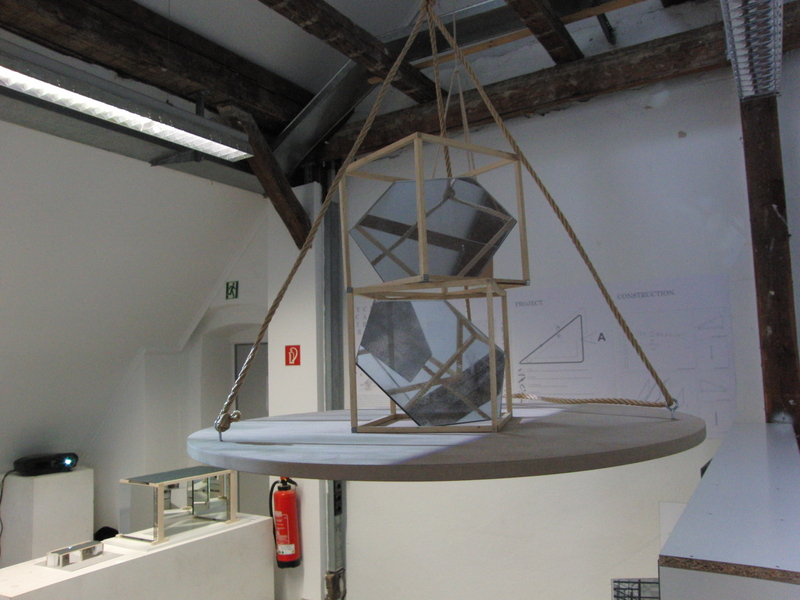 There was a potent idea behind “flying”, “density”, “weight” and “gravity” of knowledge, but the lack of conceptual and material intensity, which was also the character of the course process, did not energize the body of work, which ultimately affected the presence of experience through to the final presentation. 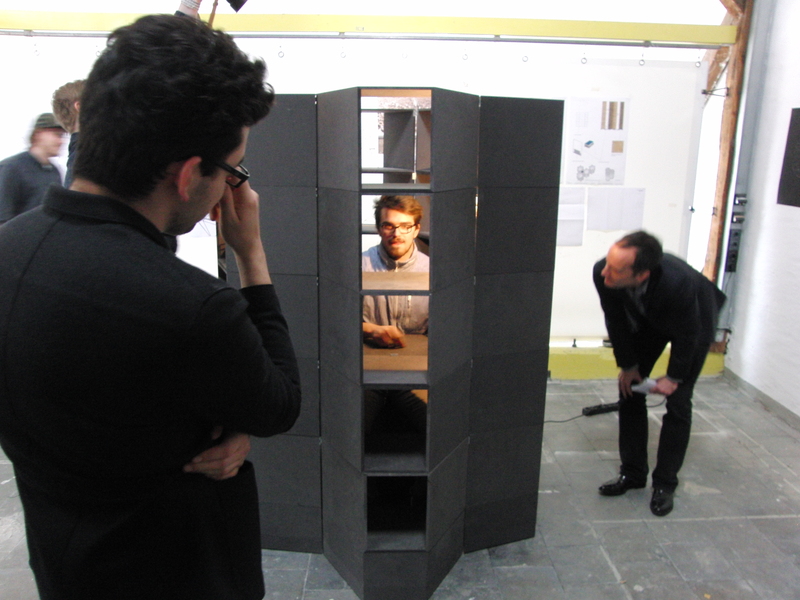 comments by LBN: The traveling case was a good idea that was underdeveloped in regards to its own conceptualization, its fabrication, and its implementation. 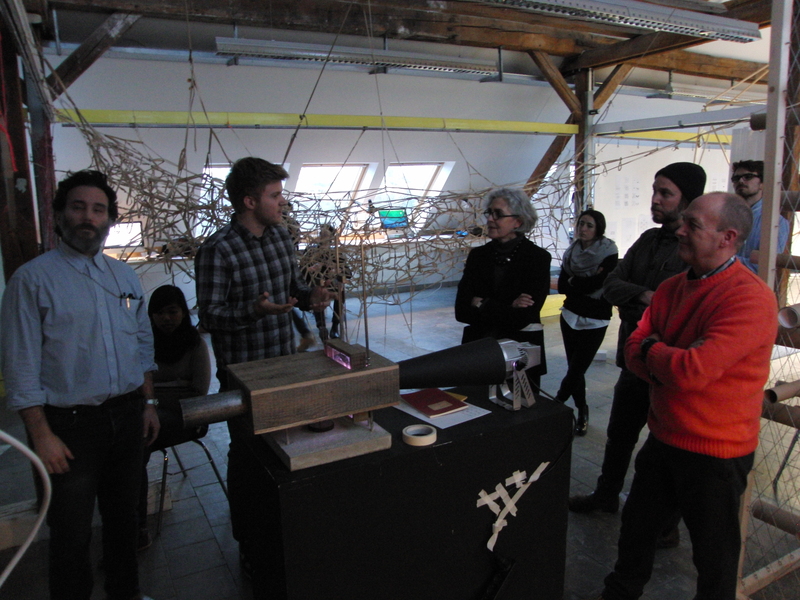 As mentioned several times prior to the final presentation, the idea of engaging the Skulptur Projekte could have yielded an enormously powerful and relevant geographic study. Unfortunately, this aspect just did not evolve at all… but, it still could be a relevant effort to further explore, personally and institutionally. comments by LBN: The language machine was an admirable effort, with genuine analog mechanics, of exquisite physical resolution. 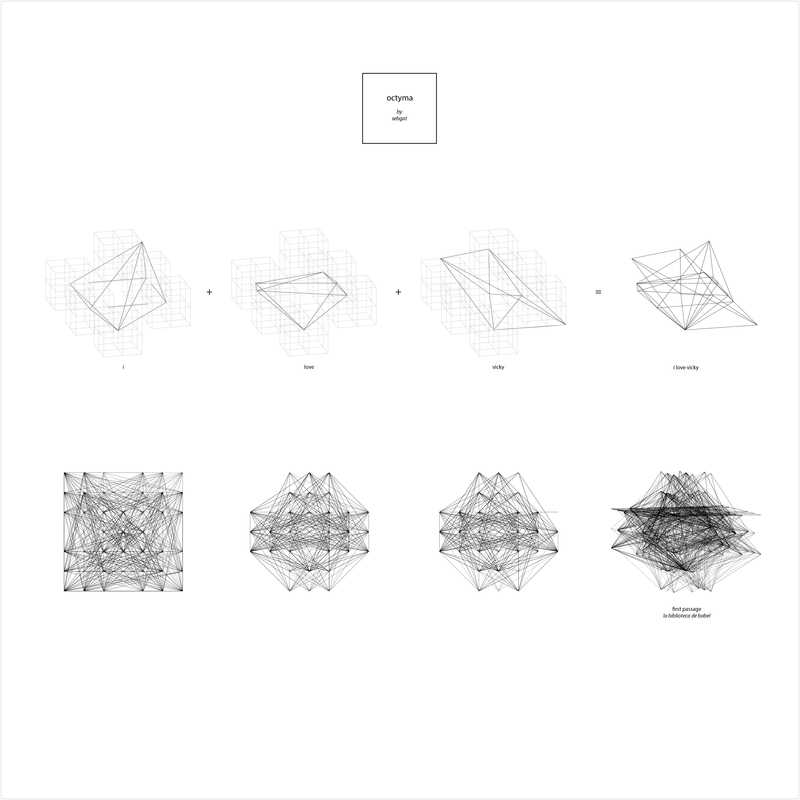 The machine was substantiated with a consistent and continuous exploration and consideration to the complexity of the questions and issues of universe-making and language. Unfortunately, the machine’s inability to truly demonstrate its operative aspects and to register its output became a significant distraction to the final presentation. This is a major risk of working with actual result-driven mechanical devices. Ultimately, the presentation could have been helped by a more versatile, less crystalized argument, and/or a performative story-line or a scenario, where the proposal, without the actual working machine, could have been better portrayed/represented. 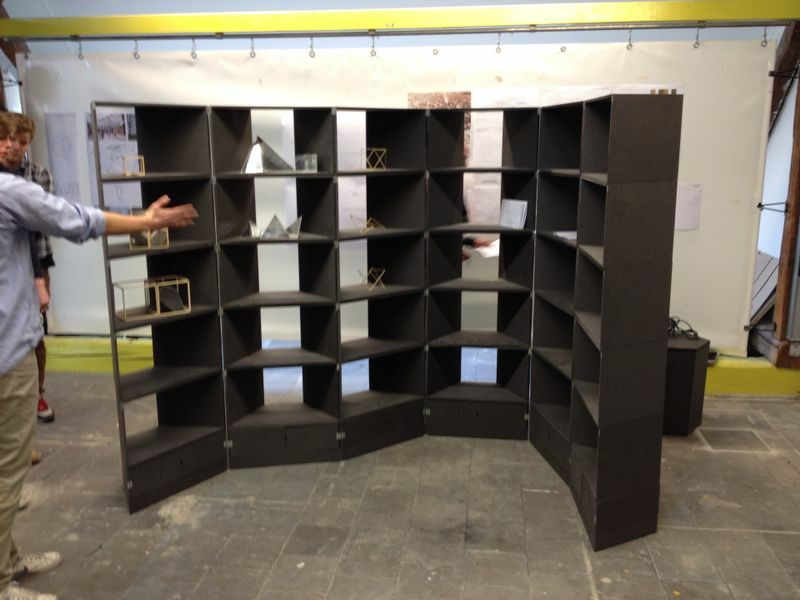 comments by LBN: The unfolding archive paravent was an absolutely elegant, if extraordinary physical resolution to a genuinely fascinating system of questions, of hypotheses that were being considered during the entirety of the course. It was unfortunate that this fascinating discursive exploration was almost absent in the final presentation. Although it is often acceptable, if even at times necessary, not to speak about or describe the intent and process of an artwork, this type of non-didactic approach is very problematic in academic scenarios. If not didactic, at the very least, this final presentation needed a performative element to truly give content and context to its emergence, and so letting it just “be” failed to demonstrate its vitality and significance as an archival dispositive. 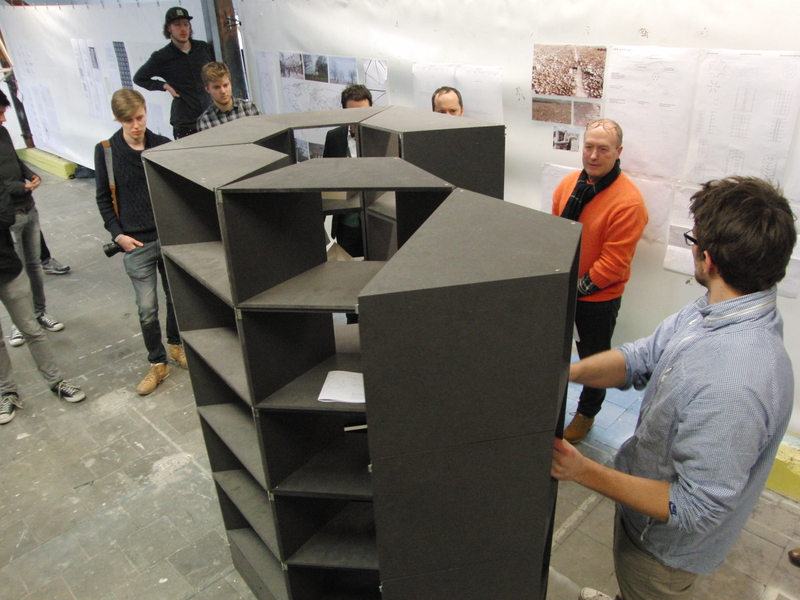 Luckily, the semester process and general ideas were so strong that these filled the object’s situation with energy, making the final presentation – an evaluated – but least important aspect of the work. comments by LBN: The process leading to the triangular archive was a compelling process where its final resolution was undoubtedly elegant and well produced. Unfortunately, the presentation did not make evident the discursive strengths and the discrete meaning in regards to archival activity, especially since the topic of multidimensionality was not thoroughly articulated and argued during the final presentation. It would have been strongest if the final discussion/presentation would have revealed specific results about the analysis about the works of the student peers. But, that said, and without a doubt, it is a beautiful sculpture and tool, that hopefully can be implemented in future scenarios. general comments to the students by LBN: The work you built, researched, processed, created, dismantled and reproduced has been of great significance towards the growth of our individual and collective knowledge-base. 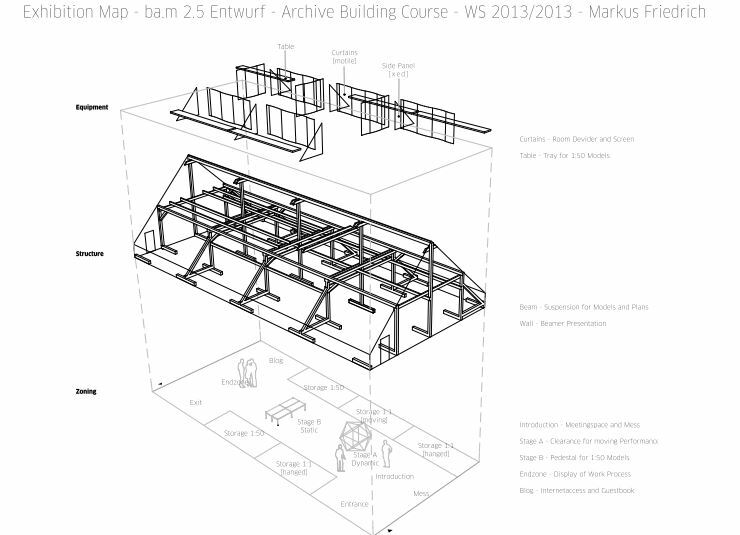 These works help us define and expand the definitions and extrapolations of what archive building can be. 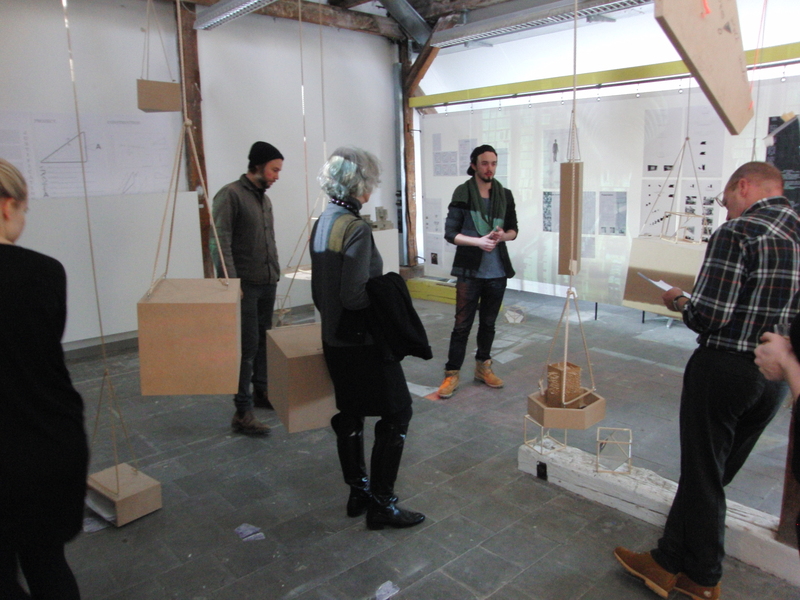 I felt the final presentation was collectively a great accomplishment of distinct compositional identity, expressing surprising aesthetic coherence… a display of simultaneous competence and collaboration rarely found in exhibited work at any level.